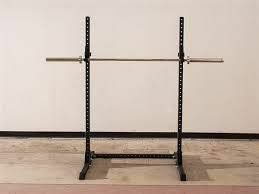 Adjustable cross fit rack. Dip station on the back of the stands. Excellent for small spaces.